Domestic music: The renaissance of a civic musical culture and a tool for audience development? The term “domestic” or “household music” usually evokes the bourgeois salon of the 18th/19th centuries, where making music was part of the habitus of polite society. In this form, technological advances (gramophone, CD player, iPod) have largely displaced domestic music. Yet as an arena of sociability domestic music has not vanished, but merely changed its expressions. It is perhaps even experiencing a renaissance. Domestic music was also a common experience for many professional orchestra musicians, either through family members or through playing in a band with friends. Leaving a cultural and social imprint, it stimulated in them a general interest in music, but also imparted transferable skills: developing an ear for a group sound, communication skills, or a broad repertoire. There are different motivations of music enthusiasts and musicians to organise, respectively play at home concerts: they describe it as a way to experience music more intimately, feel connected to a like-minded group of people. At the same time, to musicians home concerts offer room for experiments, closer contact to audiences and, for younger artists, opportunities for networking. This enthusiasm also shines through in the retired Heinz Röthinger, who has become a minor legend for the home concerts he has organised in his Berlin apartment for the past 24 years. Of course there’s an overlap between domestic and chamber music: both share the greater intimacy that symphonic music cannot offer. For many musicians, chamber ensembles are a space for their own creative development, while they also allow for greater flexibility when it comes to locations or pricing. Whether home concerts by members of renowned orchestras, such as the Bamberger Symphoniker, can also be a useful instrument for audience development remains debatable. 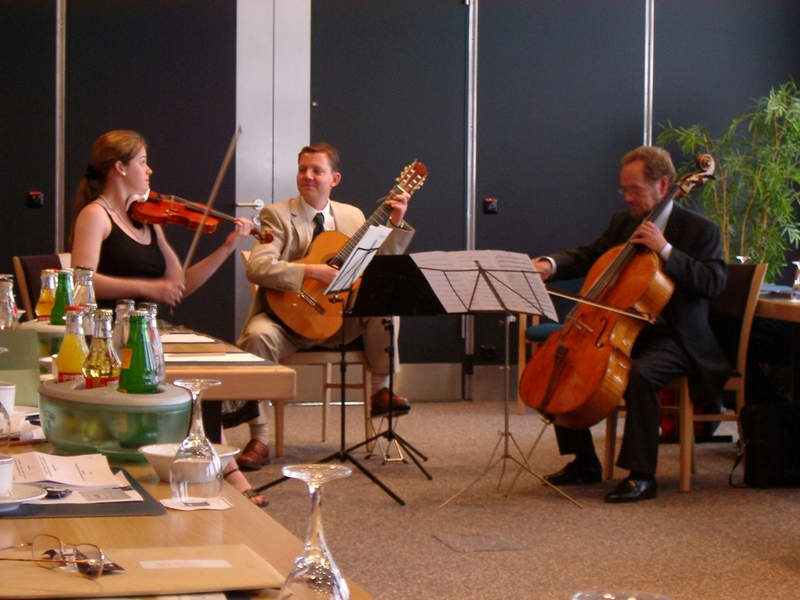 While there may be a potential to reach audiences with little affinity to the classical music scene, it is also argued that ensembles risk a loss of reputation. Conclusion: Domestic music can be a very intelligent tool for orchestras to reach out in the homes of their audiences and to build up very personal links to the musicians.